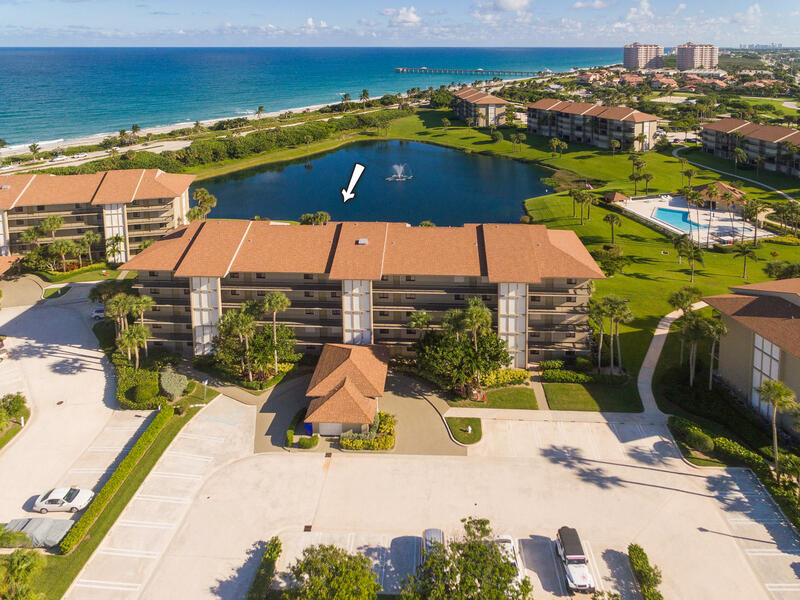 All The Bluffs Ocean South homes currently listed for sale in Jupiter as of 04/19/2019 are shown below. You can change the search criteria at any time by pressing the 'Change Search' button below. "Live steps from the beach and watch gorgeous sunrises over the Atlantic Ocean from the balcony of this fully renovated, 2BR/2BA 4th-floor oceanfront condo, located in the highly sought-after, classic ocean front community of The Bluffs Ocean South. This condo has been updated from top to bottom and has a large, wide-open, bright & airy interior, oversized windows with plantation shutters and sliding glass doors, crown molding, slate grey quartz countertops, a spacious master suite with a large walk-in closet, and a large kitchen with newer stainless-steel appliances, ceramic tile flooring, and white cabinets. The dual balconies have stunning views of the lake and Atlantic Ocean and the southern exposure means you can take in both sunrises and sunsets. In-unit laundry room with a private"